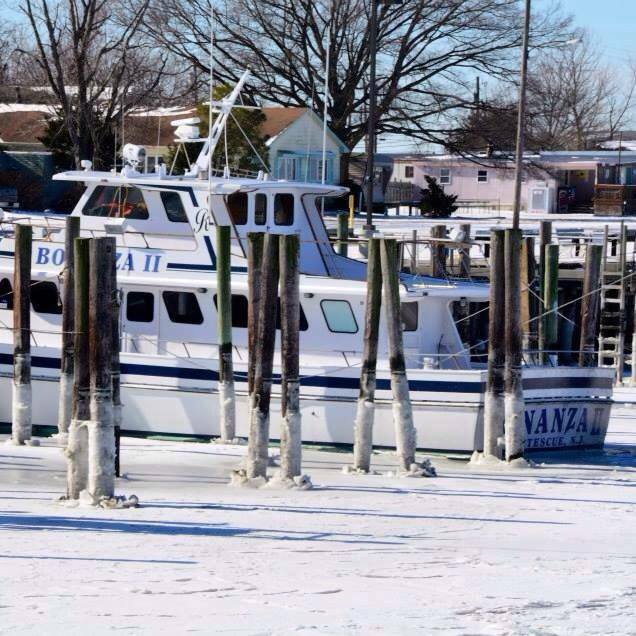 Largest Charter Boat on the South Jersey Shore. The Bonanza II is a 65' long 20' wide head boat. She is powered by twin Volvo diesel engines with a combined power of 800hp. She was built in Harkers Island North Carolina by Vance Gilikin of East Coast Boat Works. When built, the comforts of our passengers were kept in mind to make your trip as enjoyable as possible. There are separate clean facilities for both men and women and a spacious, enclosed cabin with comfortable cushions. There is plenty of room to walk around on deck while fishing. Our maximum capacity is 67 people but we try to hold that number to below 40 while fishing to avoid crowding. Our Captains and crew have over 50 years experience. All captains are licensed by the United States Coast Guard, and all crew are enrolled in a consortium to comply with the strict procedures of working on a federally inspected fishing boat. This is done for the safety of our passengers, our vessel and all others on the water.